Hit a home run with your next baseball fund raising event! Chances are you're son or daughter's baseball team will need money raised through charity events in order to get the kids to the diamond this season. Sure, the majority of registration and uniform costs will come from you, their parents, but the excess costs of diamond rentals and maintenance, and team equipment – like baseball bags, bases and bats will have to be raised via creative fund raising events. If your kids play on a baseball team that has a lot of away, or out of town, games, wouldn't it be nice to have some of those costs subsidized by the funds you raise though charity events? Never fear, the generosity of your local area businesses and neighbors might surprise you, but you need to come up with a unique fundraising idea that will bring in a substantial amount of funds – it's for the entire team after all. There is no doubt that a successful fundraiser takes pre-planning. Check out our hockey fundraising page for our top fundraising tips. Baseball fund raising ideas that won't strike out! Car wash - Contact a local grocery store or gas station (any business that's located on a busy street and that has a big parking lot) and ask if they will allow your baseball team to set up a car wash for charity. You can either ask the gas station to make a lump donation or you can ask for individual donations from each car that you wash. Ask members of the baseball team, coaches and parents to volunteer their time as washers, buffers and windshield washers. A gas station would be the ideal spot because people tend to fill up and get their cars washed at the same location. This way it's a win-win-win situation for the gas station owner as well, because people who pull in to have their cars washed might as well fill up on gas at the same location. The costs for a charity car wash are low; you can even go as far as to ask a local hardware store to donate the soap and sponges. After that you just need to get enough baseball team members to warm up their squeegee arms. 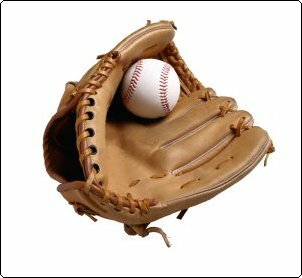 Charity Baseball Tournament - Your baseball team can fund raise by hosting a baseball tournament. Make it fun by challenging a popular area business to be the opposing team. This will get more people out to watch the game, and to potentially donate to your cause. The baseball team members can ask people to pledge funds for every inning that the baseball the team will play, or for every home run they bring in. During the game, team mates who aren't playing and parents can mingle with the crowd to explain the fundraising event and ask for more donations. In the days leading up the big game, you can raise more funds by contacting your local newspaper, television station and radio station to ask companies to sponsor the event. Gift Wrapping for Charity – The timing of a gift wrapping charity event is vital. An approaching holiday is a must – Christmas, Easter, Mother's Day and especially Father's Day. Contact a local store owner or mall services and ask them to let you set up a temporary gift wrapping booth that members of your baseball team can man in exchange for donations. You can set different amounts for different sized packages and for different styles of gift wrapping or you can simply ask for any donation amount. For this event you will need to incur costs for wrapping supplies such as boxes, gift wrap, tape and ribbons. However you can also ask a local stationary shop or grocery store to donate the materials. Call on team members and parents who are not working at the gift wrapping booth to maximize your fund raising efforts by walking around the mall. They can stroll through and approach customers, and ask for donations at door entrances as well. Again contact your local radio, TV and newspapers ahead of time so they can drum up interest in your fund raising event.